Also speaking during public participation was Vicky Fitzgerald. She asked questions regarding the school district’s finances and board member Steve Thompson’s involvement with The Community Council For Free Expression. Superintendent Steve Short and the board members did not respond to any comments made by community members. The board approved putting a renewal levy on the ballot. An article published today by the Mount Vernon News provides some additional information regarding the missing evidence. The article cites board attorney David Millstone as saying that Freshwater and his attorney have been provided access to all the materials from Freshwater’s classroom that the board has in its possession. “Anonymous source leads to ‘black bag’ find,” by Samantha Scoles. Anonymous tipster—first letter (dated 1-11-2010, received 1-14-2010). There is so much more you need to know. For now keep these pictures and copies of things you might remember and this note sent to Steve Short. This is not how this situation was supposed to go and there’s alot of regret. I once trusted you and thought you would be a real good leader. You allowed yourself to become part of some dirty, dirty, dirty, people. I know some of what’s been done. Understand it will be revealed what I know if you do not stop this framing of John Freshwater as a bad man. I cannot stand the lies and deceit that have been done and now is the time to stand up for what’s right. There is proof where these pictures and copies were taken. These pictures are reduced for now but if necessary these pictures and all the others can show the world the full view which will display the location of these books and papers and the other things taken from Freshwater’s classroom. You and this dirty group of people tried to take down one man and ended up hurting the careers of more than just Freshwater. It is wrong what had been done and beware that I don’t tell all to. Remember the do unto others as you would want done unto you may just be done if you let this keep up. You cannot be trusted alone with these pictures so I am sending this letter and thes pictures to others to. Motion to close hearing to the public (dated 1-19-2010). Presently, it is my desire to close the hearing to the public and by this letter request to do the same. Currently there is someone or more than one person who has information that they anonymously want to inject. As discussed during our conference on January 15, 2010, the anonymous person is looking for a reaction and has likely received a measure of information from the news media or other sources from within the hearing. Strategically it has been decided the anonymous source will more likely appear if they do not know the results of their submission. The greatest likelihood for identifying the anonymous source is to isolate the boundaries or variables by limiting their access to further information. Anonymous tipster—second letter (found 2-2-2010). Hope the other stuff helped. There are at least two of us that know about how your stuff was kept at the MS and Central Office. Only recently was your stuff moved. An attorney said this black bag should be returned so here it is with about 300 pictures from two boxes. A blown-whistle law would give protection but need more time. Able to help again more soon and gurantee help before trial. Please understand. Keep your faith. They don’t want the truth. Police report about the “black bag” find (dated 2-4-2010). 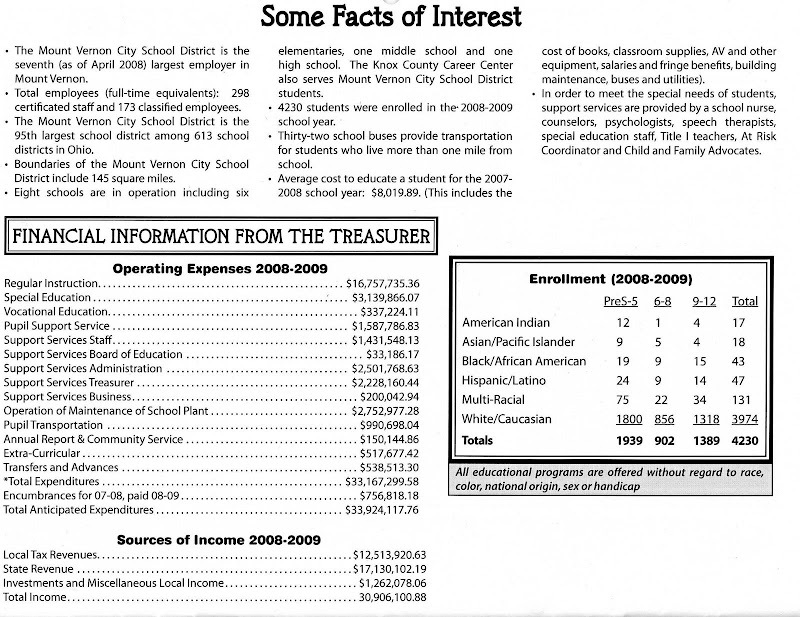 John Freshwater’s letter to MVBOE (given to board 2-8-2010). Freshwater’s letter is a written version of the comments he made to the board during its meeting. Included in the letter is the last portion of his comments that he was unable to give due to the three minute time limit. The Mount Vernon News article—linked to in previous update—includes a response from the board’s attorney regarding the “black bag” find.